Getting there: Between Ishpeming and Nagaunee off Country Road 288 (E. Division St from Ishpeming). Turn south onto Suicide Bowl Road. What's there: The Ishpeming Ski Club (ISC) not only maintains the ski jumps at Suicide Bowl, but also grooms 5.4km of cross country ski trail. 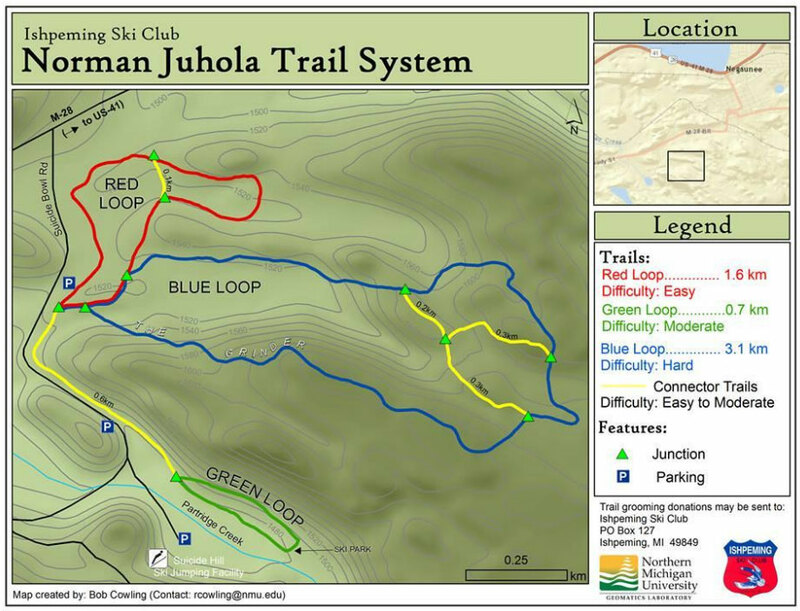 Ski trail conditions are posted on Facebook at https://www.facebook.com/Ishskiclub/.